The most common question every boudoir photographer receives is: "what to wear for my session?". What I recommend first is to have fun! Get your best friend on the phone and plan out the day when you will shop for your boudoir outfits. Before you do all the shopping, if you feel comfortable with your bestie, invite your friend for a glass of wine to help you identify your body type. Always start at home. Change into your most elegant underwear that you own at this moment and walk up to your full length mirror. Now, stand up straight and make sure that you are not critical of yourself. Women come in different shapes and sizes. We are going to be kind to ourselves and love our shape. 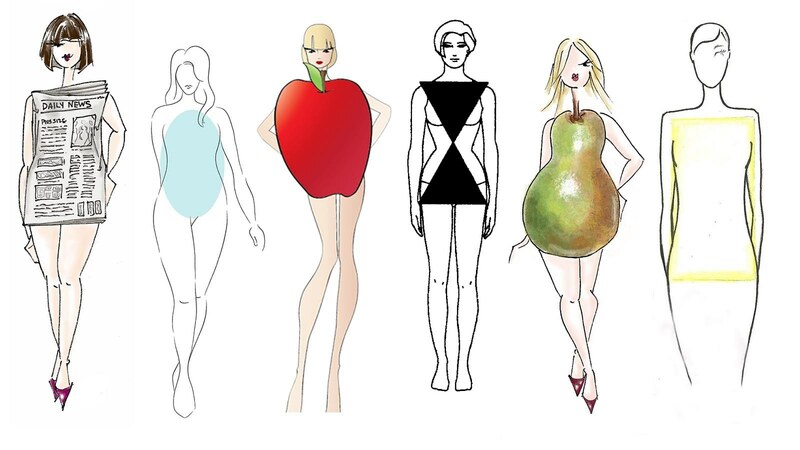 Below are some common shapes: rectangle, full hourglass, apple, hourglass, pear, and lean column. Also, here is a nifty body type calculator: http://www.calculator.net/body-type-calculator.html. Keep in mind that you are buying something you don't wear everyday. You are not shopping for comfortable underwear. The goal is to accentuate your best assets. It has to be well fitted, color coordinated, unique pieces. Focus on the part of your body you love the most. Choose pieces that empower you to embrace your romantic fantasy. Pick up to three outfits that are well coordinated. There are many famous lingerie shops that we are all well aware of. But what I suggest is that you do a treasure hunt. Some places where you can find those unique outfits are also online. Here are the ones that I suggest you check out: Bella Bella Boutique, Agent Provocateur, and of course Victoria's Secret. Please do not forget to support your local boutiques. As always, don't forget to schedule time to pamper yourself prior to your photo shoot. Get a massage. Don't forget to shave, wax, or whatever you do to get your skin ready. Get your manicure and pedicure done with elegant nail polish finish. If you would like to accentuate your eyes, make sure to make an appointment with your eyelash specialist. Don't forget always have fun.